It doesn’t matter what your fitness level is, or if you have injuries that require modifications. YOU go at YOUR level! We make sure that you feel pushed accomplished every time! 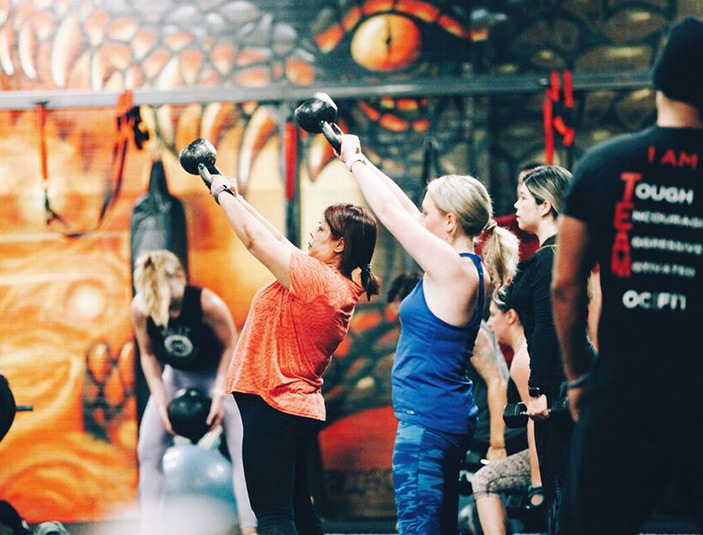 Our workouts are designed to take the fittest person to the next level, or build the foundation for a beginner. Whether you’re kill’n it like a SPARTAN WARRIOR, dealing with injuries or just taking your first baby steps, YOU go at YOUR level here! Every time you leave, you WILL feel ACCOMPLISHED and know that YOU are one step closer to becoming your BEST SELF. “This place is amazing. Never had a better workout and never felt better about myself than I do now! 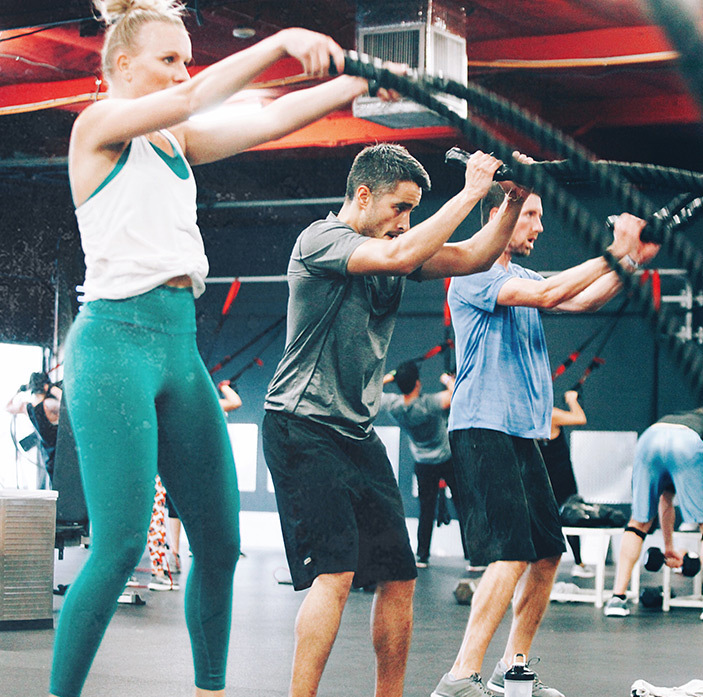 Give it a try and you'll be addicted.” - BECCA C.
Fun fact: We do SO MUCH in 45 minutes, that it would take a person working out at a “typical” gym nearly 2.5 hours to even come close. You get a FRESH NEW format every week. It is literally impossible to get bored - In other words, have FUN EXPECTING the UNEXPECTED. 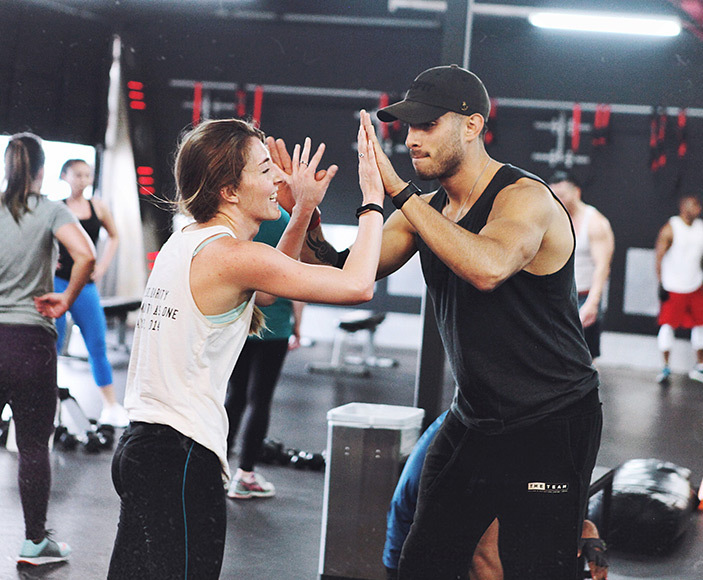 “The workouts vary daily, and it feels like a personal trainer. Working out in a group setting makes you feel like you're part of a family, and people of ALL levels come here and struggle together.” - STEPHANIE S.
Life is stressful enough. Your workout is your break, your sanctuary, your recharge station! Our coaches keep the workout SERIOUS but the mood LIGHT. You will leave every time POSITIVE, ENERGIZED and ready to TAKE ON THE WORLD!